I watched Boyhood last night. The film's great innovation is the use of the same child actor (shown on the right in the picture) as the actor ages over a period of 12 years. Critics almost universally loved the film. Personally, I enjoyed many of those parts featuring Ethan Hawke and some of the later parts showing the boy--"Mason Evans"--as a teen. That said, I'd have to agree with one of the film's few detractors (Kenneth Turan at the LA Times) who said of the film that the "animating idea is more interesting than its actual satisfactions." People praised the realism of the film, but for me too much realism makes me feel a bit cheated. I get reality 24/7. In films, we don't really need to see people doing trivial activities. On the other hand, I'd highly recommend the film for those who want insights into American culture. I think it does a great job of depicting what childhood is often like in the U.S.
First, that most of his support comes from voters already following the race and not from newly inspired voters. Second, his campaign drew from both the front-runners and the second-tier candidates and hurt Senator Cruz among the front-runners and Governor Perry among the second-tier candidates the most. Third, his support comes from across the full range of Republican identifiers, but is slightly higher among those who are less well educated, earn less than $50,000 and are slightly older. Fourth, tea party respondents were for Trump at slightly lower levels than the totals for Cruz and Fiorina, but higher than for the rest of the field. Fifth, his candidacy has a large downside in that, of the entire field, he has by far the most unfavorables and he is not the second choice of very many Republicans; thus, he cannot expect to see a leap forward as other candidates drop out. Carson first and then probably Fiorina look to gain the most as other candidates drop out of the race. Is this the best the Republicans have? 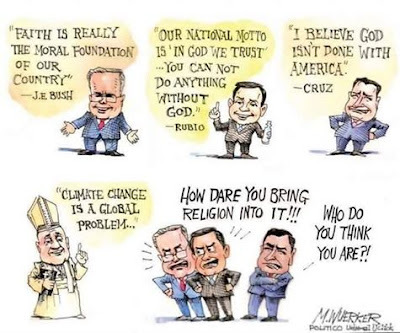 Jeb Bush and Rubio (perhaps as VP?) and perhaps Rand Paul (who's far too low in the polls at this point) were the Republicans best chance. I can't imagine the current cast of Republican front-running clowns as having even a sliver of a chance in the general election. The Republican Party, even after publicly ruminating on the need to leave xenophobia and racism behind, still consider this populist hatred to be the only trump card left in their weak hand. For me, of course, this is all great news. Now, if Hillary would just slip so that Sanders could take the Democratic ticket, we could have an interesting election. I'd imagine the Koch brothers and their like-minded brethren would be calling up hit-man at that point, but I still fantasize. Rand Paul is the only candidate with a rational view on foreign interventions. Most of the others sound like they haven’t learned anything from recent history and would simply create an even greater morass in the Middle East. Paul’s stance on marijuana legalization was also a breath of fresh air. In terms of content, Jeb Bush takes some moderate and reasonable views but his faltering speech made him look weak—an unpardonable sin in the testosterone-driven Republican primary. Mike Huckabee is still running to be the ayatollah of the U.S.
Marco Rubio came across as the whining kid at the back of the class. He was clearly having a bad night. Ben Carson, when given the opportunity to attack Trump’s position on vaccines, went out of his way to get him off the hook. (This may be a tactical decision. His campaign may consider their odds better if Trump can keep the well-funded candidates like Bush and Walker down in the polls.) Although Carson's views are outlandish, his calm and dignified manner are appealing. Ted Cruz is a very sharp speaker (albeit, with consistently idiotic views). We should elect him as the national debate instructor. Donald Trump looked like he was just trying to not make a major gaff. Chris Christie and John Kasich were very forgettable. I was concerned at several points that Carly Fiorina would suddenly break into a karaoke version of America the Beautiful and then get led off stage by the ushers. All the candidates response on which woman to put on the ten dollar bill was very telling. Half the audience could think of no woman besides their wife or mother. Fiorina--the only female contender--couldn't think of a single woman! The Republican Party still clearly suffers from a view of women that comes right out of a 1950s Leave It to Beaver episode. This last month, I finished reading Stephen King's book On Writing and Plath's novel The Bell Jar. Both were great books. Regarding the former, I didn't have the sense that King had great insights into his own writing processes: he started writing at a young age, so many of the processes are probably unconscious at this point. One thing that surprised me was that the processes tended to be bottom-up instead of top-down. For most of his works, he claims to begin with a situation, allowing the plot and theme to crystallize as he writes. The autobiographical sections of the book were actually more interesting. 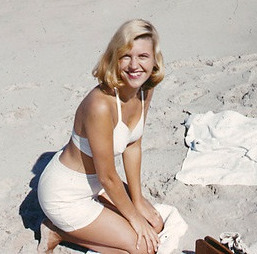 Plath's book was often depressing, but it did have some good insights into the experience of an intelligent and independent (albeit, chronically depressed) woman during the 50s.